The modern wing design base of this National Geographic globe blends beautifully with its traditional map style. 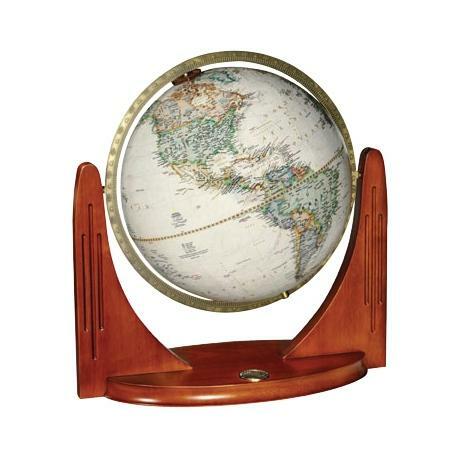 This brown ocean globe will demand attention in your home with its magnificent winged wood base in walnut finish. A brass finish meridian surround the antique style map with up-to-date National Geographic cartography. A National Geographic commemorative coin is built into the base. Perfect gift for the student of the world. • Walnut finish wood base. • 17 1/2" overall height.